Pizza Massilia describes themselves not just a pizzeria, but as an Art of Living and also as the first gourmet pizzeria in Thailand. To put the gourmet term on Pizza is a bit absurd to me, but they certainly use top notch ingredients. More importantly, the texture of the 28 hour dough is absolutely up there. The setting is welcoming and relaxing with attentiave service, but make sure you have money in the bank before getting there. 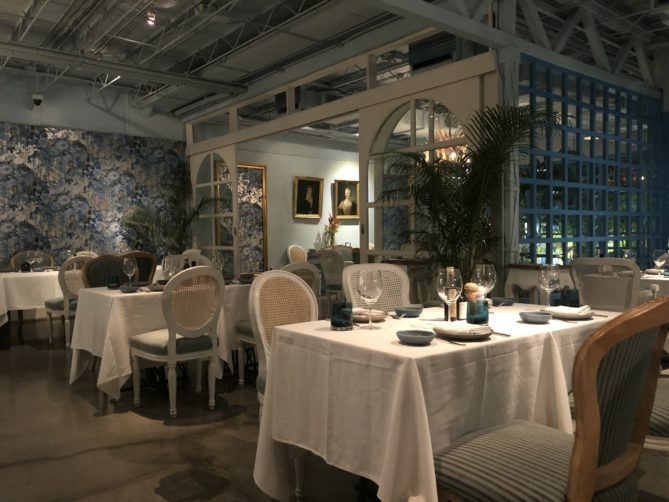 Pizza Massilia opened their doors in December 2016 and they have changed a rather simple room to a pleasant and comfortable one with smart interior skills. I was in an excited moode when getting there as they promote their pizza’s as a mix of Napoli and Marseille, telling the story of Italians emigrating to other spots of the world due to great hunger, bringing with them the famous pizza from Napoli and Italy. I was of course expecting a very good pizza getting there, especially after a quick look in the menu. It was rather late (9 pm) and a Wednesday. It could of course explain that only two other guests had found their way, but it could of course also be the pricing. Most pizza’a starts around 450 ++ (17 %) bath and don’t stop before 790 bath. We are still talking pizza. In other words, expensive and a lot more than most people are willing to spend on a pizza. So the question was of course, is it worth it? I decided to go for their top model, a cold cut with cured meats, ham and other goodies. I had a slight concern about saltiness, but my suspicions was erroneous. It wasn’t to salty, it was just delicious. They use top notch products on a very good crust and a tomato sauce that actually tastes mature tomatoes, contrary to most pizzerias. No need to say, I was happy, well except for the bill they soon would present. A minor issue on the cold cut is that they use too much meat and by that reduce the crust an tomato sauce to really shine as well. Anyway, it is basically an almost faultless pizza. The Accordo olive oil on the table was a good one, but I’ve had better once, for example Frantoli Cutrera from Sicilia. 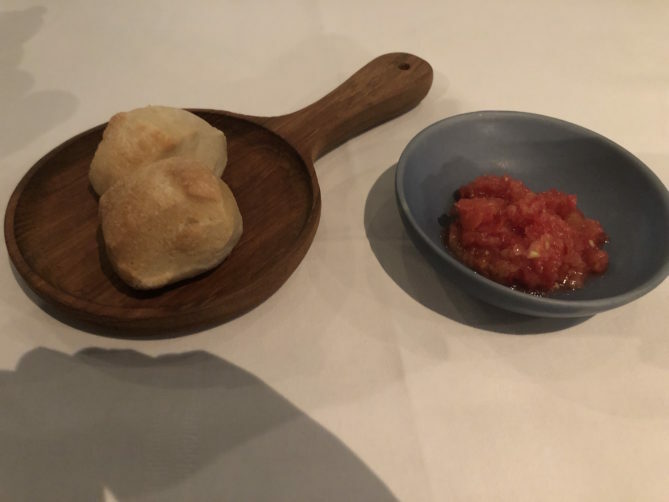 The service was impeccable during my meal and I also enjoyed the serving of new baked white bread with a bowl of diced tomatoes (not bruschetta). I just love tomatoes, and these were absolutely worth enjoying. Pizza Massilia have other dishes like pasta and rib eye, but that will have to wait for until my next salary has arrived. Pizza Massilia obviously direct and brand themselves to the more money spending cliental in the City of Angels, and they do offer the opportunity to top some of the dishes with shavings of black truffle, in case you where in doubt. Personally, I find it a lot more pleasant to eat in a vibrant restaurant full of happy guests than an empty one. After all, we are talking pizza here. The restaurant with its interior invites for romantic dinners, but who will bring their love to an empty spot. 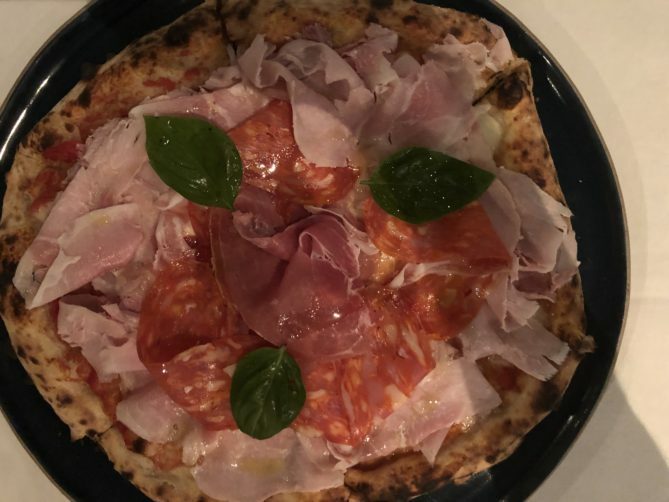 Pizza Massilia is most likely the most expensive pizzeria in Bangkok, but you will struggle to find a better one when it comes to tastes and texture. The price-quality ratio might not be the absolute best one, but if you like to know how a close to faultless pizza tastes, you should at least try it once. And they have gluten free Pizza that one of the two other guests, Italian, ate and said was aboslutely excellent. Don’t let me forget to mention that they make a pretty good Negroni here. Pizza Massilia have the option of a private room if you are a group, and they also have a nice outdoor under cover seating. Parking is no problem. Will I go back? Certainly. But I would probably do it on Thursday to Saturday in hope of a more vibrant setting with more guests. And yes, I will certainly try the pasta dishes and the ribeye as they really use top ingredients here. If you look for other restaurants in the area, check out my Bangkok food map. Both Zaew noodles and Tang Meng close by are great Thai food. You also have Vietnamese Banh MiBo close by. click here Address: 1/8 Sukhumvit Soi 49 – They also have a branch in Lumpini at 15/1 Soi Ruam Ruedi. How to get there: The Sukhumvit branch is reach by taking the skytrain to either Phrom Phong station or Thong Lor station. It’s a 5-6 minutes walk from either of them. 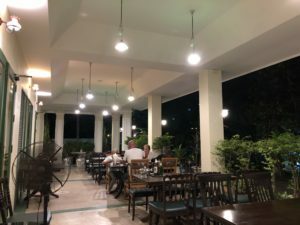 Pizza Massilia is most likely the most expensive pizzeria in Bangkok, but you will struggle to find a better one when it comes to tastes and texture. The price-quality ratio might not be the absolute best one, but if you like to know how a close to faultless pizza tastes, you should at least try it once. Gluten free Pizza alternatives. See full review at StreetsideBangkok. Thanks for sharing. I’m looking forward to try the pizza though but I confirms what I was thinking. Great pizza but heavy price.